Gandhinagar: Dahyaji Gobarji Vanzara, popularly known as DG Vanzara, is a former DIG of Gujarat, and was one of the accused in the alleged fake encounter case of Sohrabuddin Sheikh. He welcomed the acquittal of all the policemen and said he's looking forward to courts declaring policemen not guilty in other such cases as well. “We became victims of political cross-firing between the then occupants of power in Delhi and Gandhinagar,” said Vanzara on Saturday, a day after the verdict of the CBI court. 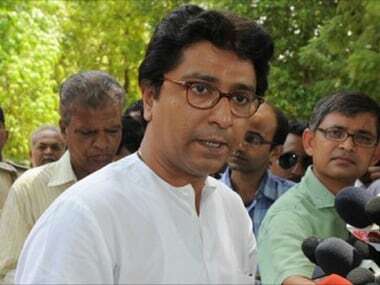 In an interview, he also said that he would like to enter politics but his first priority was to get acquitted in the remaining two cases, including the Ishrat Jahan encounter case. He indicated that he also wanted to write a book about the whole affair once he is cleared of all the charges in the remaining cases. The former DIG, who was already acquitted in the Sohrabuddin case in August 2017 along with 16 others, including the then MoS, Home of Gujarat Amit Shah and then Rajasthan home minister Gulab Chand Kataria, said that the court judgment in the Sohrabuddin case, acquitting all 22 police officers, has vindicated his stand that the encounters were genuine. He has claimed that the officers were wrongly framed despite rightfully performing their duties. “Terrorists had in the past successfully assassinated political leaders like former prime minister Indira Gandhi, Rajiv Gandhi, Punjab chief minister Beant Singh, former Pakistan prime minister Benazir Bhutto and Sri Lankan president Premadasa. Had post-Godhra preemptive encounters including the Sohrabuddin one not been carried out by Gujarat Police, the then Gujarat chief minister Narendra Modi would have met the same fate. We saved the saviour,” he had tweeted on Friday. Vanzara said that he has always maintained that the encounter carried out by his team was “genuine” and not fake as claimed by the CBI. Due to political reasons, genuine encounters are termed fake victimising police for performing their duties, he said. 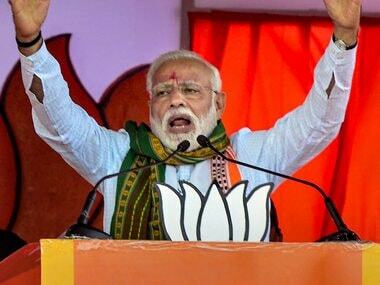 Claiming that had the encounters not taken place Pakistan supported terrorists could have killed the then Gujarat CM Narendra Modi, Vanzara said that Gujarat could have become another Kashmir. Vanzara, who was also accused in Ishrat Jahan encounter case, said that this case was also a result of political rivalry between the then Gujarat government (CM Narendra Modi's government) and the government at Center of that time (UPA government). The former top cop said that he needs to be acquitted in just the Ishrat Jahan case to come out clean personally, but as the leader of the then police team, it is his responsibility to see to it that all the other accused police officials in other cases also get acquitted and get justice. 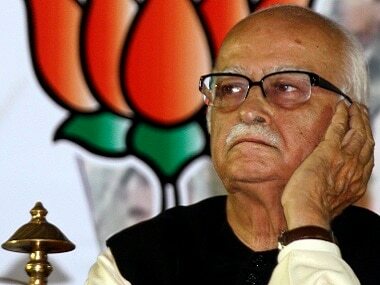 “I was arrested in the Ishrat Jahan case and was released on bail, but in the other case i.e. Sadik Jamal encounter case, I have not been arrested so far, nor is my name involved. However, as it was also part of the same strategy, my responsibility is to get all the officers acquitted in all the cases,” he said. The former cop was, even after getting bail in all the cases, not allowed to enter Gujarat by the Bombay High Court for quite some time. “It (the acquittal of other accused in Sohrabuddin case) was naturally a cause for happiness, and I personally feel relieved. And since the other police officers have also got justice, my happiness has multiplied,” he said. When asked about his earlier announcement about entering into active politics and the reasons behind the delay, Vanzara said that his first priority is to come out clean in all the cases and entering politics has become secondary. “I am already in public life. I am moving around the state and participating in non-political and social activities. As far as my entry into politics is concerned, it depends on many factors. I would like to come out of the cases first, and then do whatever I like to. The priority is to get discharged in the remaining cases. Entry into politics is secondary as of now,” he said. “Common people expect that I should join politics, but I will have to think from so many angles before taking a plunge,” he said. Vanzara, who had written three poetry books during his jail term, also hinted that if he gets a clean chit in all the cases, he may write a book about the cases. The CBI in its chargesheet had alleged that Sohrabuddin, an alleged gangster, his wife Kausar Bi and his aide Tulsi Prajapati were abducted by the Gujarat police from a bus when they were going to Sangli in Maharashtra from Hyderabad on the intervening night of 22 and 23 November, 2005. Sohrabuddin was killed in an alleged fake encounter on 26 November near Ahmedabad while his wife was killed three days later and her body disposed of. On 27 December, 2006, Prajapati was also shot dead allegedly by the Gujarat and Rajasthan police in a "fake encounter" near Chapri on the Gujarat-Rajasthan border. Vanzara's earlier acquittal in this case by the lower court was also upheld by the Bombay High Court. A special CBI court in Gandhinagar had in August this year, however, rejected his discharge plea in the Ishrat Jahan case of June 2004, when Ishrat, a 19-year-old Mumbai girl along with three others, was shot dead by the police on the outskirts of Ahmedabad. The CBI had termed it a fake encounter, while Vanzara and the other accused maintained that it was a genuine one and those killed were LeT operatives who had come to Ahmedabad with an intention to assassinate the then chief minister Narendra Modi.